information pills only 50 years ago, majority of Korean people were mired in poverty, superstition, drunkenness, gossiping, aspects that still suffocate the Ugandan society today. This was to change however during a grass roots movement that specifically targeted changing people’s mindsets, by instilling into them the spirit of cooperation, competitiveness and hard work. Starting from little villages across the country, the grass roots movement or Samaul Undong as it is called to date, spread like wild fire encouraging people to work, read hard and raise their children to excel. 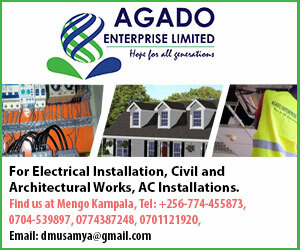 The striking similarities between Korea of the 1950s and Uganda of today suggests that we can take lessons from Korea on how they achieved the sort of transformation they did. Ambassador Park, who was a student in Uganda back in 1970s, implored Ugandans to learn from Korea’s history, culture and mindset re-orientation to rise to where they are today. Ambassador Park was at Gayaza High School recently for a Korean Cultural festival during which a a team from the Korean embassy took students through Korean culture including music, food, dress and language. 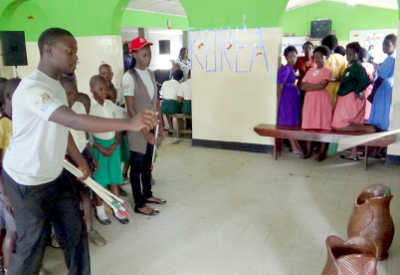 The Korean team was accompanied by Korean language students from Makerere University who heaped praise on the benefits of learning Korean in Uganda. Of course, with Korea’s rising star as a global economic power house, there are certainly benefits that come with expanding one’s linguistic horizon to include Korean. As Ambassador Park revealed, South Korea companies are on a mission to deepen their engagement with Africa and Uganda. Ambassador Park said that Samsung and LG, two of the world’s biggest electronics makers, plan to set up major operations in Uganda in coming few years. The Korean embassy in Uganda was re-opened only three years, however bi-lateral as well as commercial ties have grown rapidly over that period including a visit to Seoul by Uganda’s President Yoweri Museveni in May 2013. Now a major Korean company SK Group is leading the race to build the US$ 2.5 billion oil refinery in Buseruka – Hoima district. Ambassador Park hinted that if SK wins the bid to build the 60,000 barrel-a-day refinery, it will not only create become one of the biggest companies in the country, it will also help to establish a more diverse petrol-chemical industry in the country and create more business opportunities that go beyond the oil sector. This, he argued will be provide numerous job opportunities for Korean language speakers. And its not a one way traffic. Ugandan companies can also start venturing into exporting to Korea some of its valuable items such as coffee, or better still try to forge ties with Korean companies with the view attracting investments into Uganda in areas such as agro-processing. Ambassador Park noted however that his efforts to promote Korean culture in Uganda does not mean that Ugandans should abandon their culture.